Dear Nation Puzzle Fans: This collector’s edition puzzle is brought to you by the film Tinker, Tailor, Soldier, Spy, based on the classic John le Carré novel of the same name. The film opened on December 9, and is now playing in select cities. Le Carré himself is a member of the Nation family, having contributed pieces to the magazine over the past decade. This puzzle is designed by the same team that designs The Nation’s weekly puzzle. We’ll return to the usual format next week. We hope you enjoy! 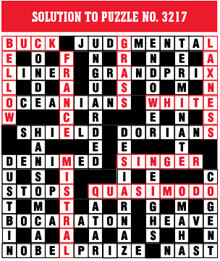 Tinker with each clue answer, rearranging the letters to produce a new word for the grid. 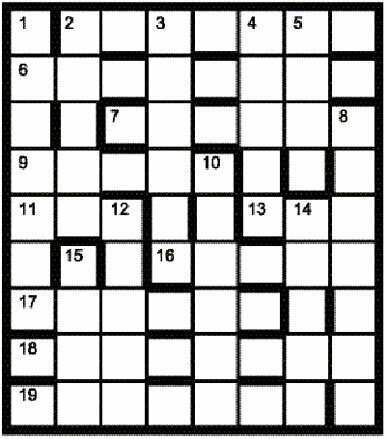 Improve the fit by removing one letter from each answer to produce a new word for the grid. War is a constant presence for each new word that you enter in the grid. Observe the answer to each clue, but be sure to leave it undisturbed when entering it in the grid.